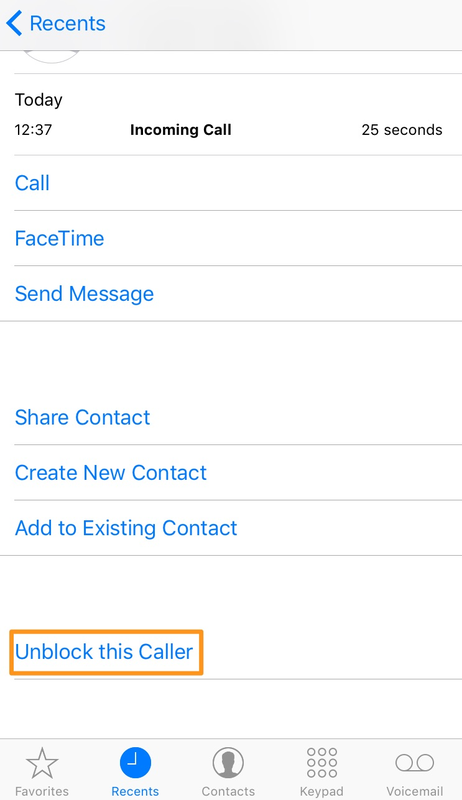 How to block calls, Messages and FaceTime on your iPhone in iOS 9, iOS 10? 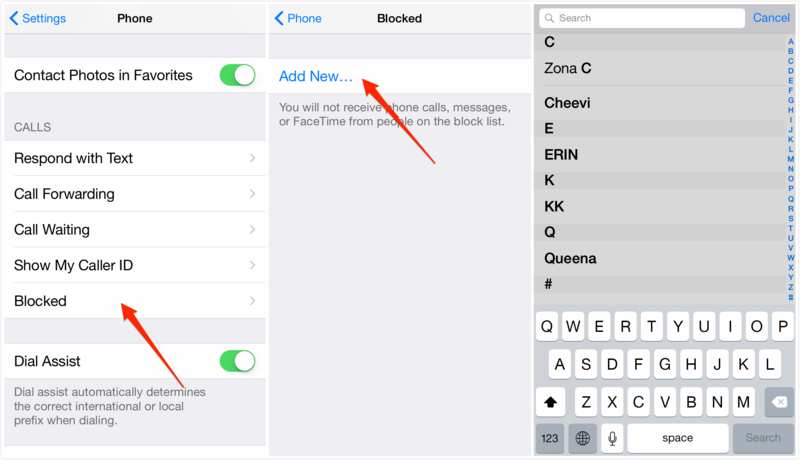 Check this guide to learn how to block numbers on your iPhone without efforts. AnyTrans – An Excellent Way to Transfer & Manage the Contents on iPhone. AnyTrans is an all-in-one iPhone management tool that enables to transfer & manage your media contents on iPhone with ease. Download it and have a try before reading this guide. Have you met these situations: like somebody is annoying you by constantly make calls, or the telemarketer always give you a buzz to persuade you to buy their products and so on? With these harassing iPhone calls, you may want a way to shield these unknown numbers, messages and FaceTime as quickly as possible. In this tutorial, we have rounded up several effective methods to block unwanted calls with few steps, also the ways to unlock iPhone calls. Check the details bellow to fix your trouble quickly. 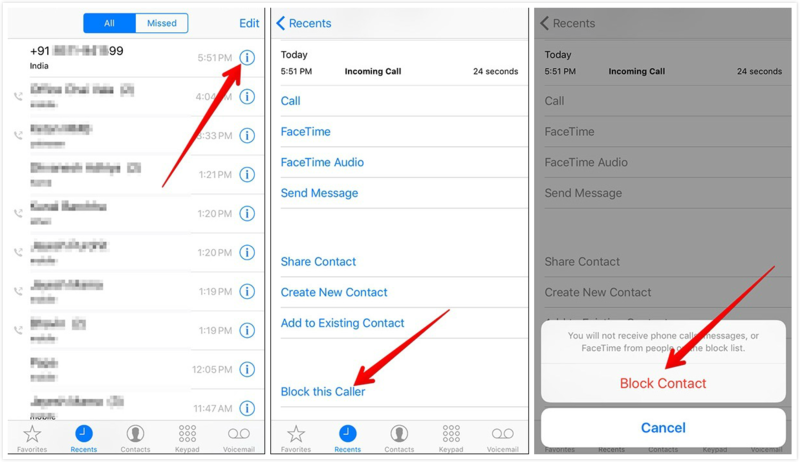 If you want to block Calls, Messages and FaceTime on your iPhone in iOS 9, iOS 10 directly, you can go to their apps to block them with ease. Here we take the block iPhone calls an example, which is similar/ same with the methods of blocking Messages and FaceTimes on iPhone. Step 1. Open the Phone App > Tap on Recents. Step 2. Locate the number you want to block > Tap on (i) button next to that number. Step 3. Tap on Block this Caller > Tap on Block Contact to confirm. Go to Settings > Tap on Phone > Tap on Blocked > Tap on Add New… > Select the numbers you want to block. Warm Tips: What if you want to recover deleted contacts on your iPhone by accident? iTunes/iCloud may makes sense but each of them may result the original data loss on your devices, including messages, contacts, notes and more. Well, you just try to use PhoneRescue – a safe &trouble-free iPhone data recovery tool, which enables to recover the deleted contacts from your iPhone with few minutes. From this guide, you can block phone calls, messages and FaceTime on your iPhone in iOS 9, iOS 10 with several methods. If you have any questions related to iPhone, iPad and iPod, free to check the following articles to get an easy way to solve your troubles.